The Net-A-Porter summer clearance sale may be the chicest of all the bargains we've seen this season. 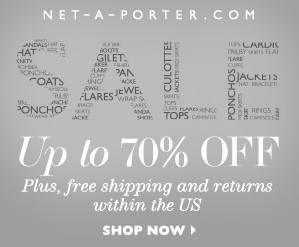 High-end designer shopping site Net-A-Porter's annual sale has just added new merchandise and new reductions. Some of the items are now as much as 70% off of retail. That's a great deals when you consider some of the brands at this sale includes designers like Alexander McQueen, 3.1 Phillip Lim, Altuzarra, Burberry Stella McCartney and Chloe. The sale includes apparel, handbags, lingerie, shoes and jewelry. There are also some unique offerings like the exclusive collection by UK fashion brand Needle and Thread. If you're looking to treat yourself to a quality designer item, then get over to the Net-A-Porter summer clearance sale before it's all gone. 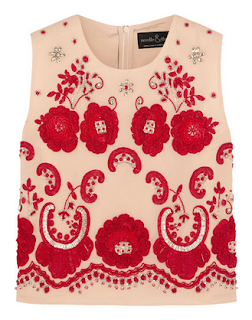 This Needle and Thread top is one of our Net-A-Porter favorites.